Serbia won it in tie-break. Aleksander Atanasijević was in fearsome form, finishing with 28 spikes, two blocks and two aces with some of his serves flying at over 120 kph. 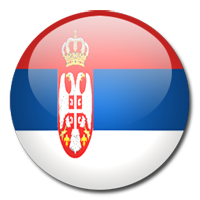 Also great game played Marko Ivović (13 points) also contributing in what was an excellent team display, this was a welcome victory for the side from the Balkans who badly needed a response after Friday’s hammering by the USA.